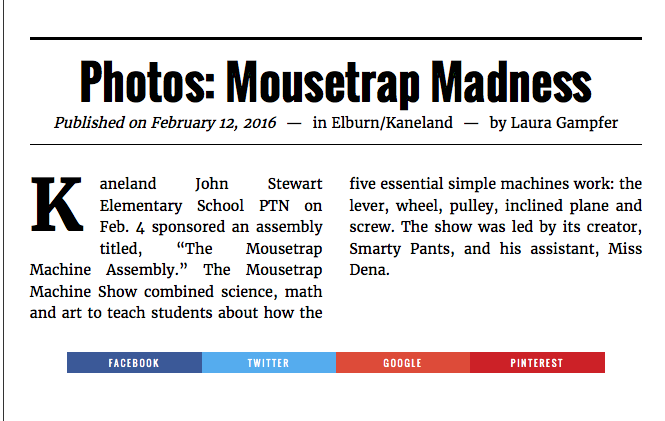 This February, Smarty Pants visited the Kaneland John Stewart Elementary School to present our Mousetrap Machine Science Assembly program. 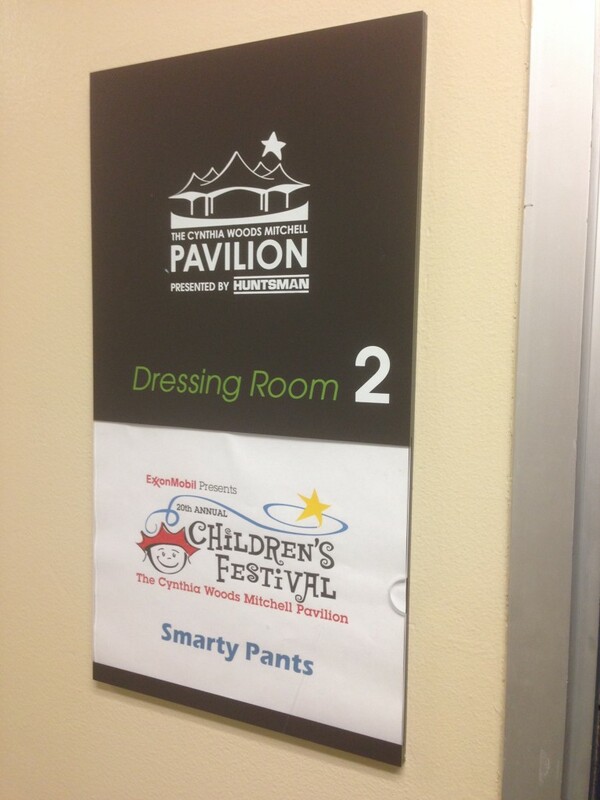 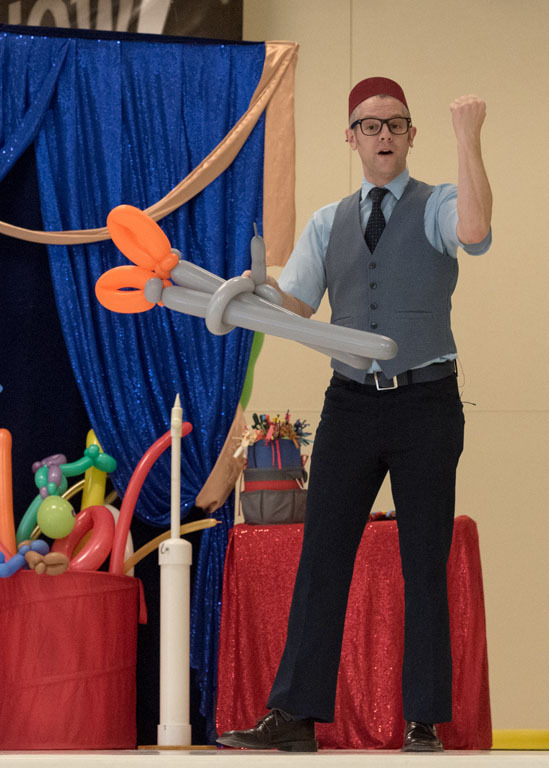 Smarty Pants recently took a short break from the holiday season in Chicago to bring his Mousetrap Machine Science Assembly down to Texas, as a headline performer at the Cynthia Woods Mitchell Pavilion annual Children’s Festival. 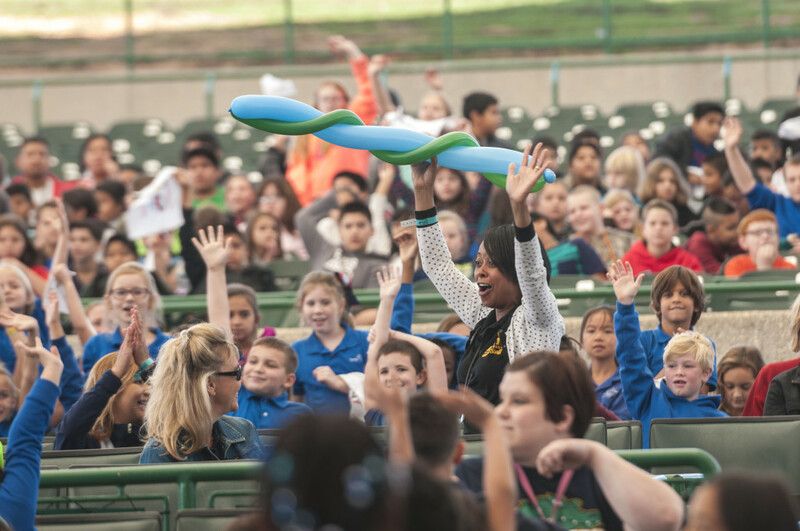 We performed our Mousetrap Machine Science Assembly in front of a sold out audience of over 4,000 elementary school students – our biggest audience ever! 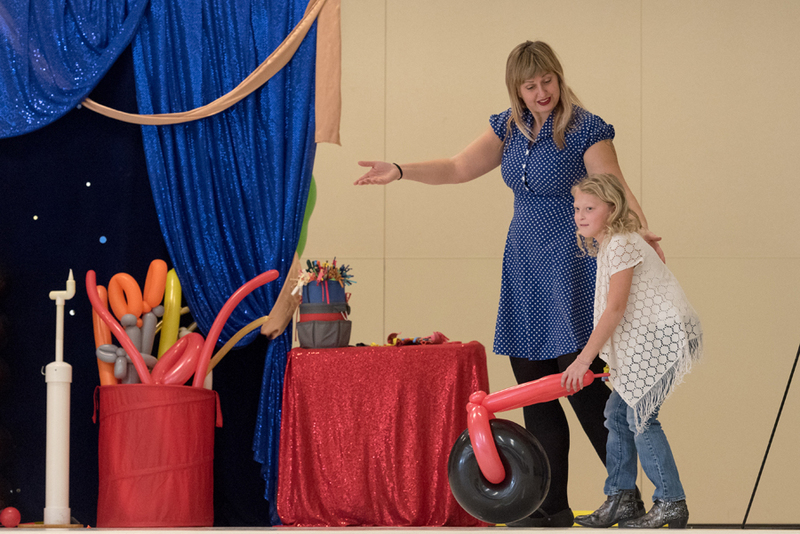 After we present the Mousetrap Machine Science Assembly in an elementary school, it’s always great to get positive feedback from the PTO parent organization that arranged the booking. 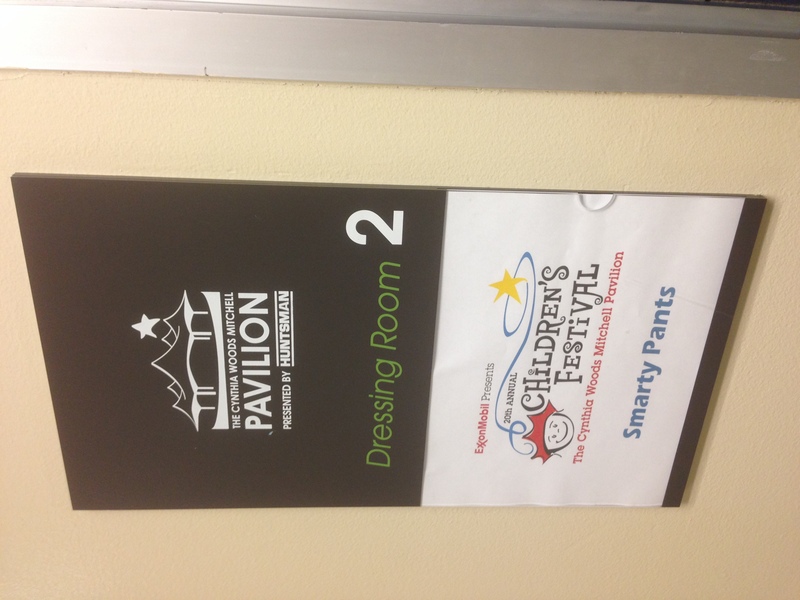 This past August, Smarty Pants made his annual appearance on the WGN-TV Morning News “Back to School” fest. 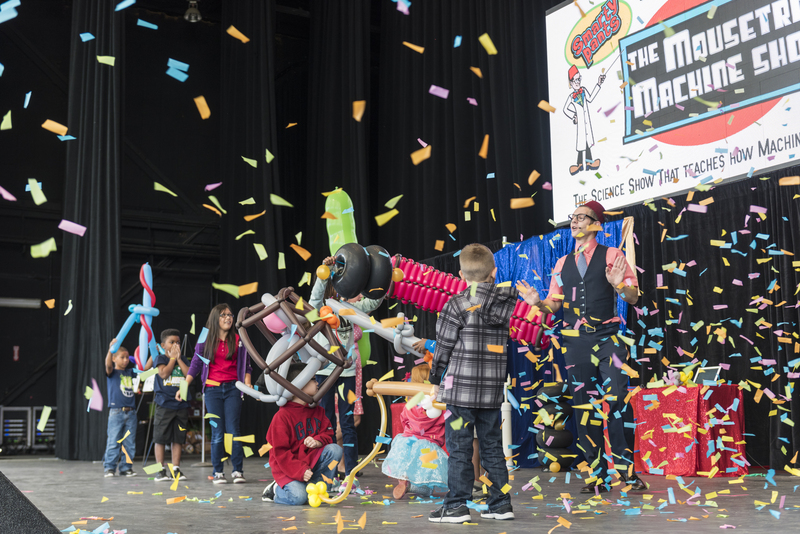 Teaming with Chicago favorite Marcus Leshock, Smarty showed viewers a small peek at how the amazing “Mousetrap Machine” comes together at the end of the Mousetrap Machine Science Assembly. 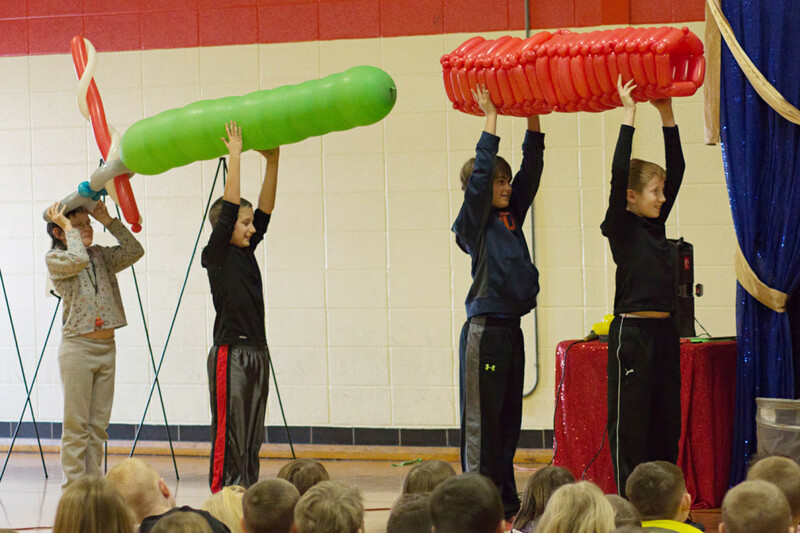 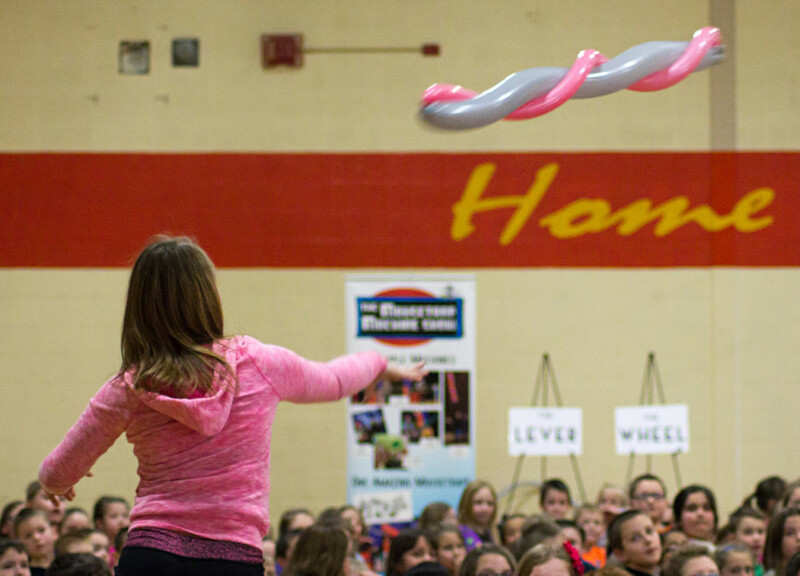 Are you an elementary school in Illinois, Indiana, Michigan or Wisconsin looking to book an amazing science assembly for the upcoming 2015-2016 school year? 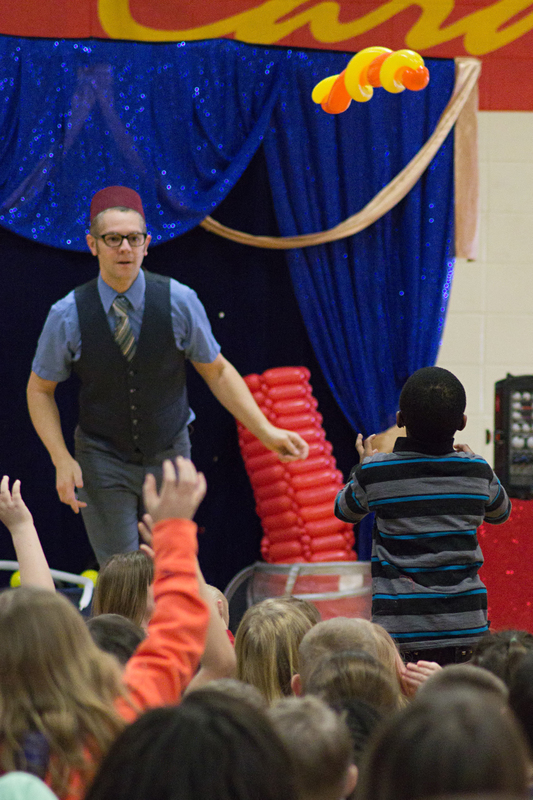 The Mousetrap Machine Science Assembly has been visiting schools since 2008, and we present our show in over 75 elementary schools every year! 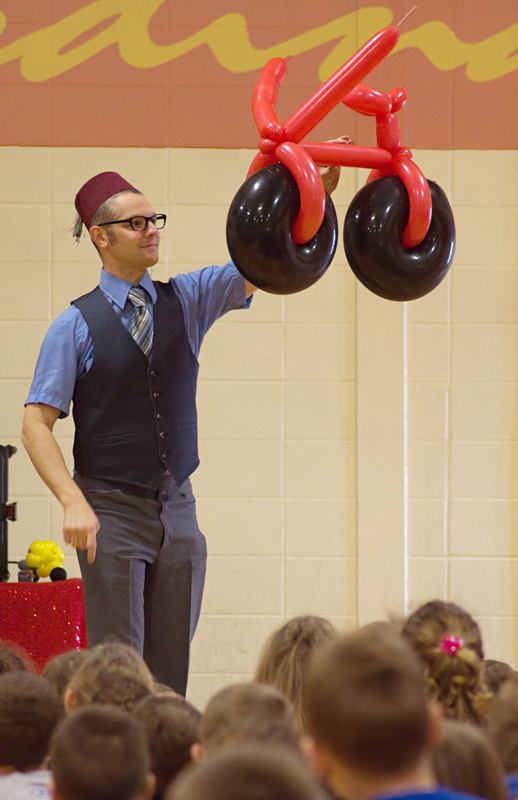 One thing PTA and PTO parents, and principals always mention is their difficulty in finding quality assemblies to book for their school. 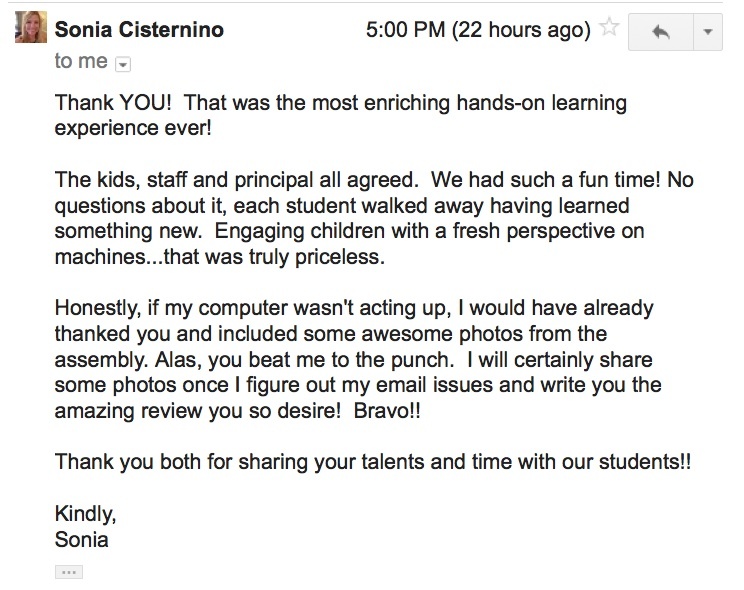 Sure you can see photos and videos on a website, but wouldn’t it be nice to meet the presenters in person and learn more about the assembly first-hand? 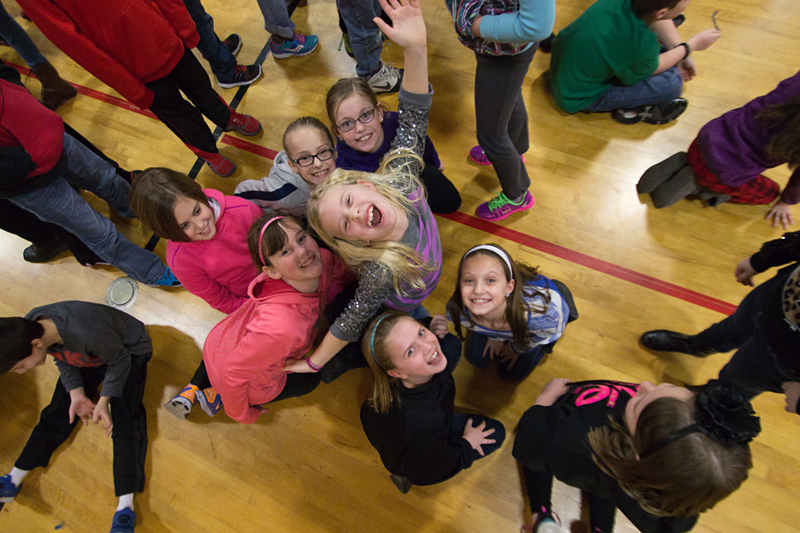 As a parent myself, I know how difficult it can be to find the right assembly program for your elementary school. 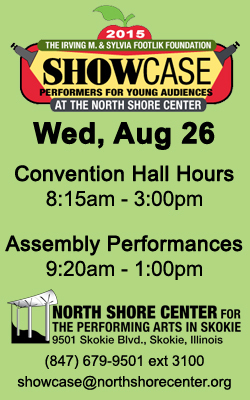 A program might look good online, but wouldn’t it be better to meet the assembly presenter in person and see them live on stage? 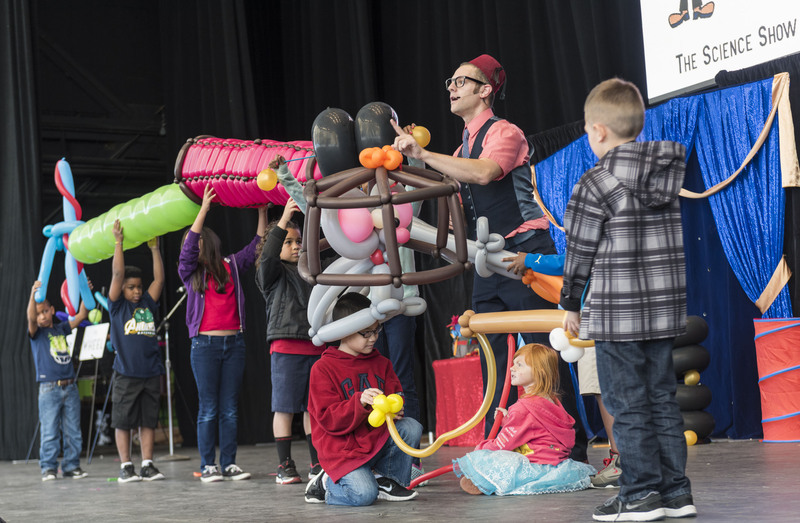 This fall, Smarty Pants and the Mousetrap Machine Science Assembly will be attending two Chicago area assembly showcases. 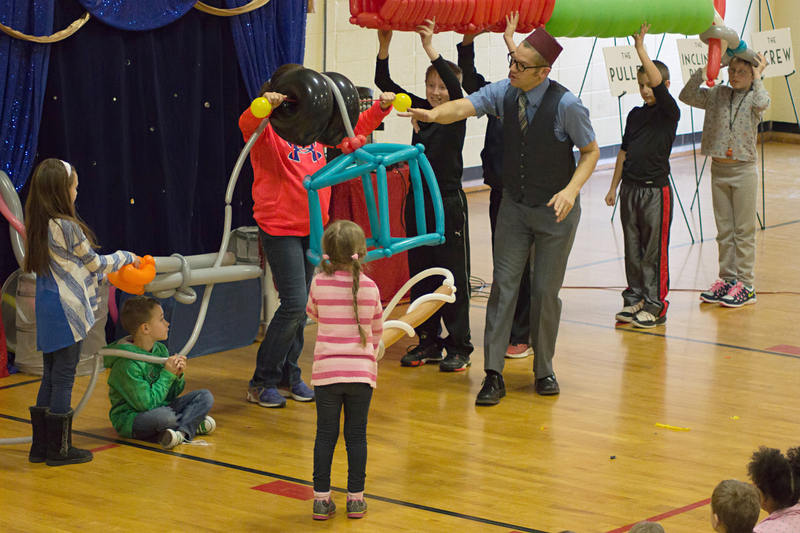 We recently presented our Mousetrap Machine Science Assembly at Highlands Elementary in Naperville, IL. 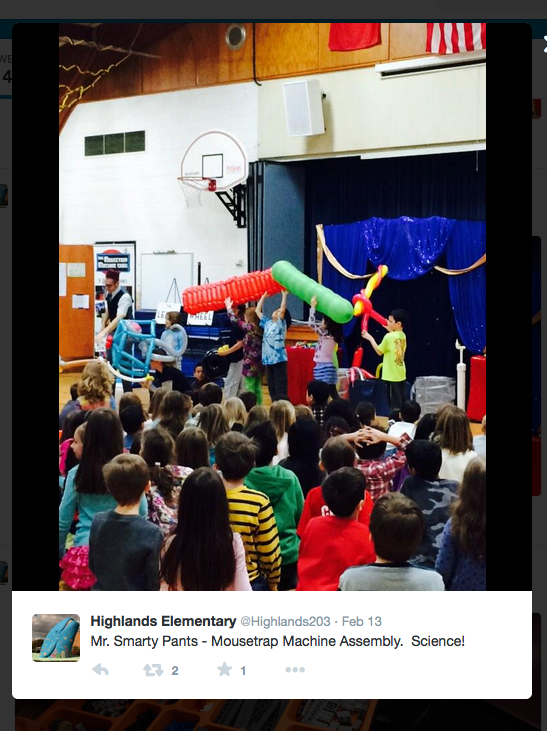 One of the parents in attendance during the assembly posted this great shot to the Highlands Elementary Twitter feed during the show! 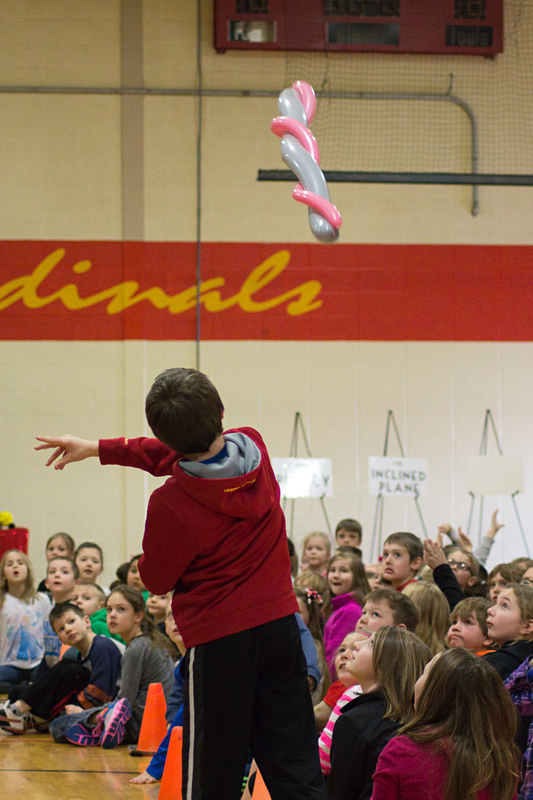 Smarty Pants recently visited the Warrensburg-Latham Elementary to present his Mousetrap Machine Science Assembly in 2015. 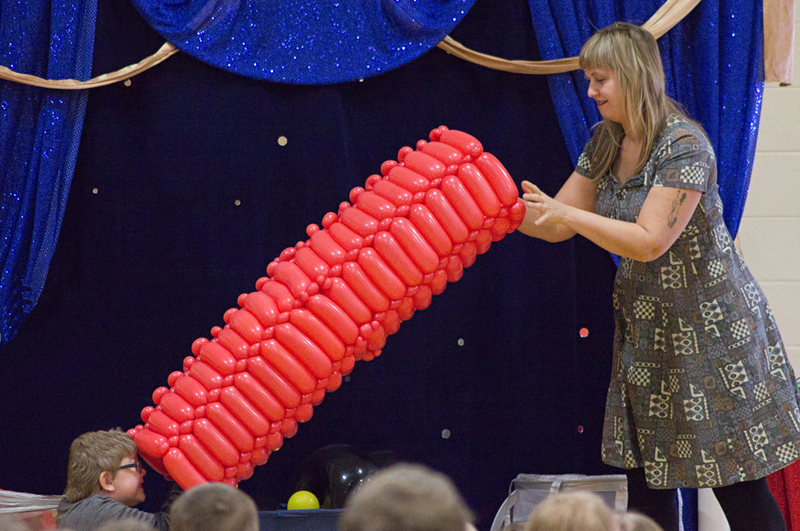 Here’s some great photos from the school assembly! 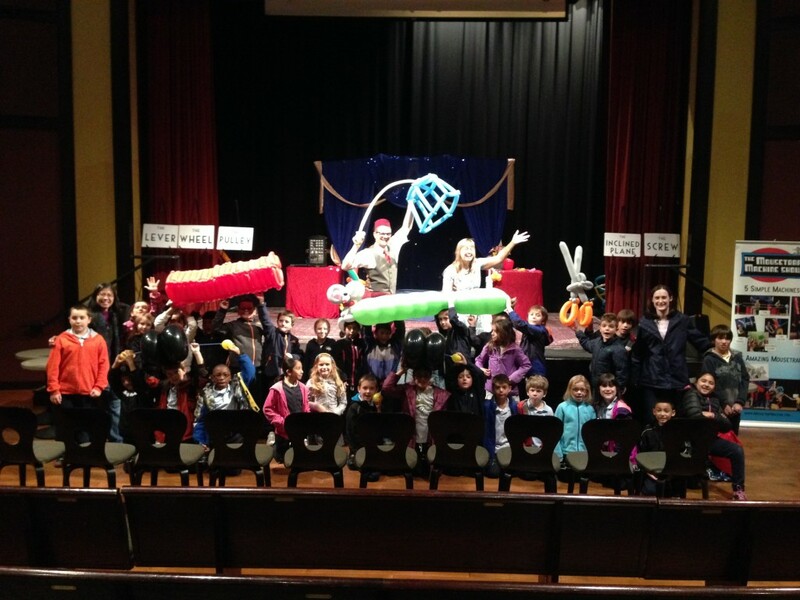 More than just a folk music center, the Old Town School serves as the cultural heart of Lincoln Square, offering classes in every conceivable genre of music as well as regular concerts and live performances. 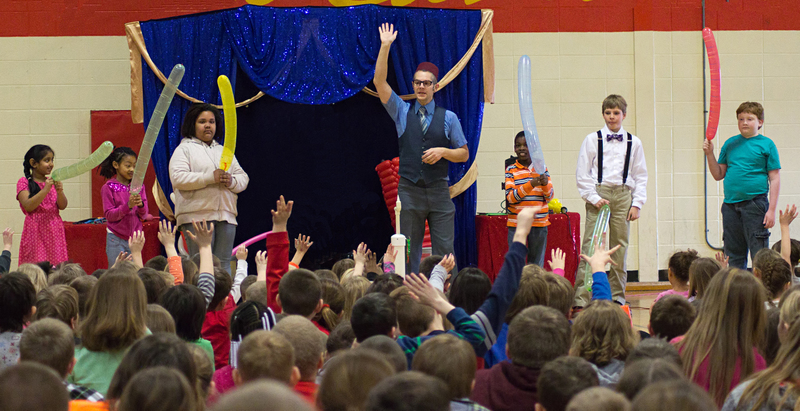 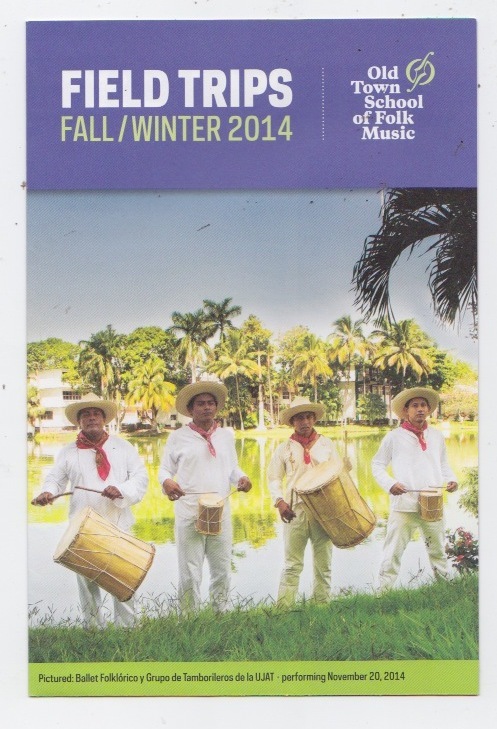 In addition to evening shows, the Old Town School also hosts performances for school field trips. 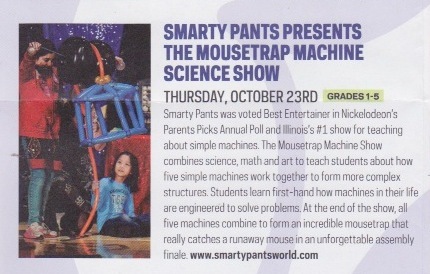 In October, 2014, Smarty Pants was honored to be invited to perform the Mousetrap Machine Science Assembly for over 250 local elementary school students from the Chicago area. 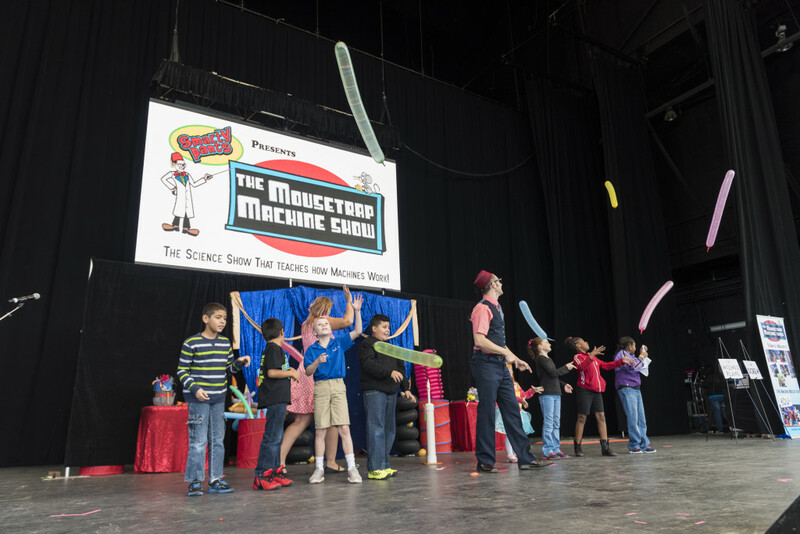 During the Mousetrap Machine Show, students learned how five simple machines work – both separately and combined into more advanced machines. 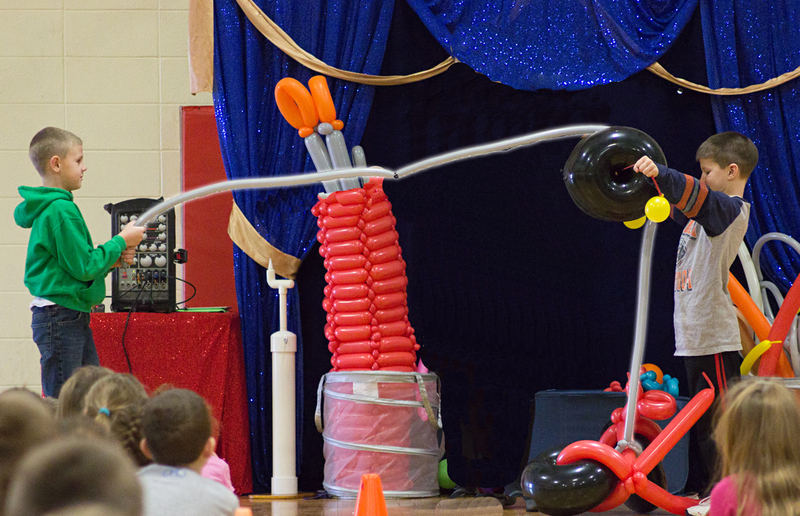 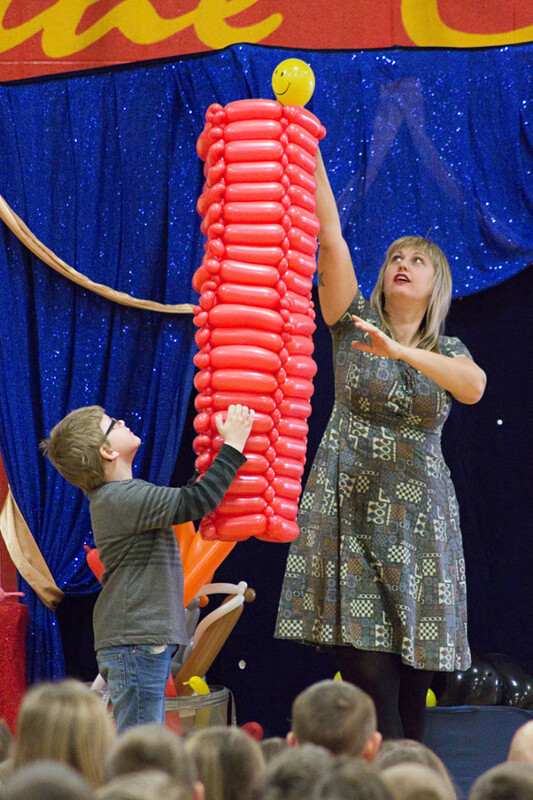 The students were very energetic and enthusiastic about seeing the show, and afterwards one class requested a group photo with all of the show’s amazing balloon machines. 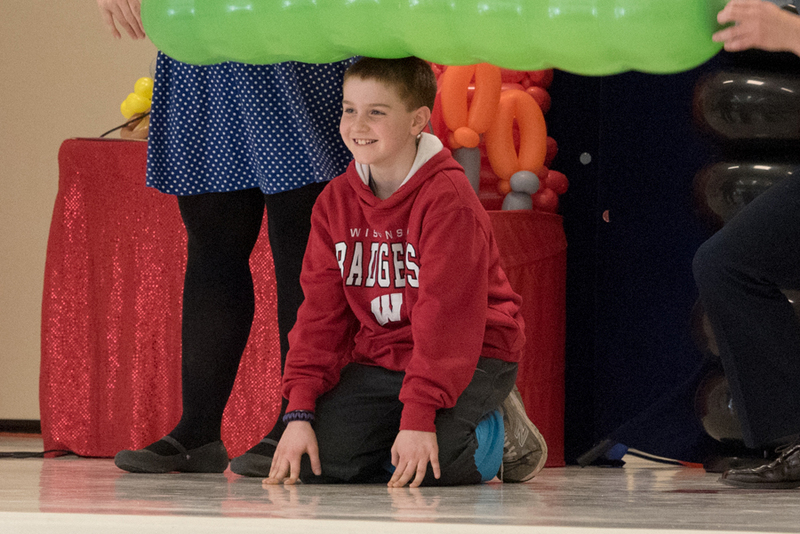 How could I refuse!? The Mousetrap Machine Science Show is often performed at schools as an assembly, but we can also present the show in your local theatre or cultural arts center. 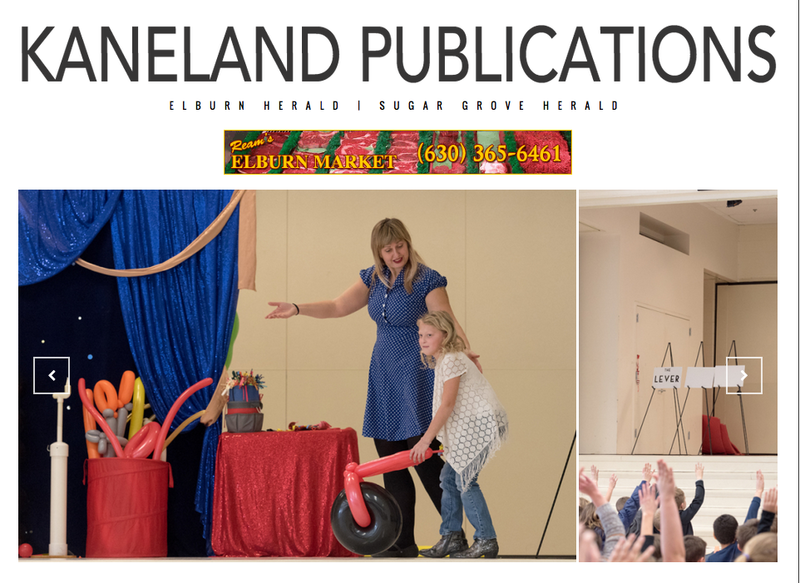 For more information, drop us a line through our contact page!